As a non-profit NGO, Sustainable Marin doesn’t endorse specific political candidates but educates and promotes sustainability measures. From its outset Sustainable Marin has been an aggressive and vocal advocate on regulatory and legislative fronts, both local and statewide. or get action alerts when public action is needed in the legislature or regulatory agencies. Take a moment today to review and endorse the campaign’s Principles for a Stronger, Greener, More Reliable Electric System. GHG emissions from transportation – cars, buses, trains — continue to rise alarmingly in Marin as elsewhere. SM has challenged Transportation Authority of Marin to make climate protection and GHG reduction a central priority and to use newly authorized Measure AA tax funding to reorient Marin’s ways of moving people, emphasizing transit-oriented development, reduction of vehicle-miles-traveled (VMT) and electrification of all transport. A particularly harmful bill – AB 813, CAISO regionalization – failed of passage this year but likely will return in 2019. “Regionalization” would make California an administrative part of a Western states “regional transmission organization” (RTO), eroding California’s autonomy over its energy destiny, giving coal-friendly states more authority, costing Californians for unneeded new transmission lines, and jeopardizing local community power in Marin and elsewhere. Although state and local regulations are moving new housing stock gradually toward zero net energy, existing older structures are a problem yet barely addressed. Sustainable Marin advocates a “whole structure-life cycle” approach where everything in buildings – from electrification to components – are deliberately low-carbon. Local codes fall well short of sustainable building. Sustainable Marin was in the forefront of citizens’ activism in the 2009 formation of Marin Clean Energy (MCE), the state’s first Community Choice clean energy program. Also, SM volunteers were active in repulsing utility-backed attacks on Community Choice, first against Proposition 16, a ballot measure conceived to enshrine utility monopoly power in the state constitution; then, against AB 2145, a bill that would have crippled CCAs; SM testimony at California Public Utilities Commission (CPUC) workshops and hearings has defended Community Choice. 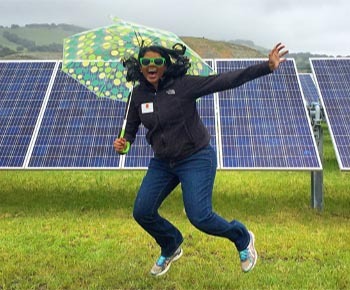 SM has helped push Marin cities and agencies to opt up to MCE “Deep Green” 100% clean power. Sustainable Marin also has advocated for energy-efficient green building ordinances in County of Marin, cities and towns, and for municipal climate action plans that are effective, comprehensive and enforceable. Efficiency of water use in MMWD and NMWD has been a priority, especially in increasingly frequent drought years. Sustainable Marin fought against expansion of Redwood Landfill and, although losing, did spur County authorities into a Zero Waste program which has had at least limited success. It's time to act. Click to see options!